Trans World Airlines Flight 847 was a flight from Cairo to San Diego with en route stops in Athens, Rome, Boston, and Los Angeles. On the morning of Friday, June 14, 1985 Flight 847 was hijacked shortly after take off from Athens. The hijackers were seeking the release of 700 Shi'ite Muslims from Israeli custody. Later Western analysis considered them members of the Hezbollah militant group, but Hezbollah rejects this conclusion. A TWA Boeing 727-200 identical to the aircraft involved in the hijacking. The passengers and crew endured a three-day intercontinental ordeal. Some passengers were threatened and some beaten. Passengers with Jewish-sounding names were moved apart from the others. 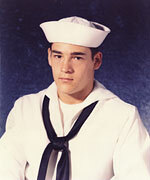 United States Navy diver Robert Stethem was murdered, and his body was thrown onto the tarmac. Dozens of passengers were held hostage over the next two weeks until released by their captors after some of their demands were met. Flight 847 was operated with a Boeing 727-200, registration N64339. The flight originated in Cairo on the morning of June 14. After an uneventful flight from Cairo to Athens, a new crew boarded Flight 847. The new crew in Athens were Captain John Testrake, First Officer Phil Maresca, Flight Engineer Christian Zimmermann, flight service manager Uli Derickson, and flight attendants Judy Cox, Hazel Hesp, Elizabeth Howes, and Helen Sheahan. At 10:10, Flight 847 departed Athens for Rome. It was commandeered shortly after takeoff by two Arabic-speaking Lebanese men who had smuggled a pistol and two grenades through the Athens airport security. One was later identified as Mohammed Ali Hamadi, who was later captured and sentenced to life imprisonment in Germany. Hamadi is an alleged member of Hezbollah. The plane was diverted from its original destination of Rome, in airspace over Greece, to the Middle East and made its first stop, for several hours, at the Beirut International Airport in Lebanon, where 19 passengers were allowed to leave in exchange for fuel. Shortly before landing, air traffic control initially refused to let them land in Beirut. Captain Testrake argued with air traffic control until they relented. He said at one point, "He has pulled a hand-grenade pin and he is ready to blow up the aircraft if he has to. We must, I repeat, we must land at Beirut. We must land at Beirut. No alternative." At the time, Lebanon was in the midst of the Lebanese Civil War, and Beirut was divided into sectors controlled by different Shia Amal militia and Hezbollah. That afternoon, the aircraft continued on across the Mediterranean to Algiers, where 20 passengers were released during a five-hour stop before heading back to Beirut that night. Nearly a dozen well-armed men joined the hijackers before the plane returned to Algiers the following day, Saturday, 15 June, where an additional 65 passengers and all five female cabin crew members were released. The hijackers wished to fly to Tehran, but mysteriously returned to Beirut for a third time on Sunday afternoon, 16 June, and remained there for unknown reasons. The Greek government released the accomplice, Ali Atwa, and in exchange the hijackers released eight Greek citizens, including Greek pop singer Demis Roussos, to be flown by a Greek government business jet from Algiers back to Athens. By Monday afternoon, June 17, the 40 remaining hostages had been taken from the plane and held hostage throughout Beirut by the Hezbollah. Nabih Berri was the chief of the Amal militia and the minister of justice in the fractured Lebanon cabinet. One of the hostages was released when he developed heart trouble. The other 39 remained captive until intervention by U.S. President Ronald Reagan with Lebanese officials on 30 June, when they and the pilots held captive on the airplane were collected in a local schoolyard and met with international journalists, then driven to Syria by the International Red Cross to the Sheraton Hotel and a press conference in Damascus. The hostages then boarded a U.S. Air Force C-141B Starlifter cargo plane and flew to Rhein-Main AB, West Germany, where they were met by U.S. Vice President George H. W. Bush, debriefed and given medical examinations, then flown by TWA Captain Alan Rehbock to Andrews Air Force Base and welcomed home by the president. Over the next several weeks, Israel released over 700 Shia prisoners, while maintaining that the prisoners' release was not related to the hijacking. The iconic image of this hijacking was a photograph showing a gun being held to a pilot's head, sticking out of the cockpit window, while all three pilots were being interviewed by reporters. The scene was interrupted by one of the French-speaking Hezbollah guards left by the hijackers to hold the crew after most passengers and the cabin crew had been released in Algiers, and the remaining men were held in captivity elsewhere in Beirut. The young militiaman may have unloaded the gun before crashing the scene, as he primarily wanted to be on television. Flight attendant Uli Derickson was credited with calming one of the hijackers during a fuel-quantity incident during the first leg to Beirut, because she spoke German, the only European language which either hijacker spoke. Notably, she interrupted an attempt to end the hijacking in Algiers when airport officials refused to refuel the plane without payment by offering her own Shell Oil credit card, which was used to charge about $5,500 for 6,000 gallons of jet fuel, for which she was reimbursed. She also refused to cooperate with the hijackers in identifying for them the passports of any passengers with Jewish-sounding names so they could not be singled out. Hezbollah specialist Magnus Ranstorp of the University of St. Andrews credits "leading" Hezbollah members Hassan Izz-Al-Din (later involved in the Kuwait Airways Flight 422 hijacking in 1988) and Mohammed Ali Hammadi whose brother was one of the heads of the Hezbollah SSA (Special Security Apparatus), with assisting Hezbollah operatives in the "supervision and planning of the incident itself and as an active participant in the defusion and resolution." On October 10, 2001, in the immediate aftermath of 9/11, three of the alleged hijackers, Imad Mugniyah, Ali Atwa and Hassan Izz-Al-Din, having been earlier indicted in United States district courts for the 1985 skyjacking of the American airliner, were among the original 22 fugitives announced by President George W. Bush to be placed on the newly formed FBI Most Wanted Terrorists list. Rewards of $5 million for information leading to the arrest and conviction of Atwa and Izz-Al-Din are still being offered by the United States. Mohammed Ali Hammadi was arrested in 1987 in Frankfurt, Germany (then West Germany), while attempting to smuggle liquid explosives, two years after the TWA Flight 847 attack. In addition to the West German charge of illegal importation of explosives, he was tried and convicted of Stethem's 1985 murder and was sentenced to life in prison. However, he was paroled and released by German officials on December 20, 2005, and returned to Lebanon. There has been speculation that his parole was granted as part of a covert prisoner swap, in exchange for the release of Susanne Osthoff. Taken hostage in Iraq a month prior, Osthoff was released the week of Hammadi's parole. On February 14, 2006 the United States formally asked the Lebanese government to extradite Mohammed Ali Hammadi for Stethem's murder. On February 24, 2006, he appeared as well on the FBI Most Wanted Terrorists list, under the name Mohammed Ali "Hamadei" (sic). He was among the second group of indicted fugitives to be named by the FBI to the list. Several news outlets reported the announcement by Hezbollah of the death of Imad Mugniyah in a car bomb explosion in Syria on February 13, 2008. The remaining three fugitives from TWA Flight 847 remain on the list, and at large. Hezbollah reportedly denies culpability in the TWA Flight 847 hijacking, among its denials of numerous other attacks which have been attributed to the group. The Delta Force film of 1986 is based on the TWA 847 hijacking. The Taking of Flight 847: The Uli Derickson Story is a 1988 TV movie based on the incident focusing on the role of flight attendant Uli Derickson (played by Lindsay Wagner). ^ a b c d e Smith, William E. June 24, 2001. Terror Aboard Flight 847. TIME Magazine. Retrieved: 24 November 2012. ^ "FAA Registry (N64339)". Federal Aviation Administration. ^ See Hostage in a Hostage World: Hope aboard Hijacked TWA 847 (Saint Louis: Concordia Publishing House, 1985) for Zimmermann's account of this experience. ^ Whitlock, Craig (2005-12-21). "Hijacker Sought By U.S. Released". ISSN 0190-8286. Retrieved 2018-04-09. ^ "He's Pulled a Grenade Pin". The New York Times. Associated Press. June 15, 1985. Retrieved May 23, 2015. ^ "Hijacking of TWA Flight 1847". PBS. Retrieved 12 January 2013. ^ a b Ranstorp, Magnus, Hizb'allah in Lebanon: The Politics of the Western Hostage Crisis, New York, St. Martins Press, 1997, p. 95. ^ "Named for Steelworker 2nd Class Robert Stethem". United States Navy. Retrieved December 5, 2013. ^ "TWA RETIRES THE B-727". Youtube. ampicoab. Retrieved 19 June 2018. ^ "REGISTRATION DETAILS FOR N64339 (TRANS WORLD AIRLINES (TWA)) 727-231". Planelogger. Retrieved 19 June 2018. ^ "Germans release Lebanese hijacker". 2005-12-20. Retrieved 2018-04-09.